The last time we had our hands on a Hisense phone, we were handling their claim to the elite 5 inch/big screen league that has become the battle ground for all serious mobile manufacturers. However, the mobile landscape also includes a comparison of phablets; that new age quintessential device that gives tech fans the best of mobile and big screen excitement. Unfortunately, this usually comes at a significant cost. Which brings us to the Hisense Pure 1, which seems to have been designed and priced with the thrifty mass market in mind. 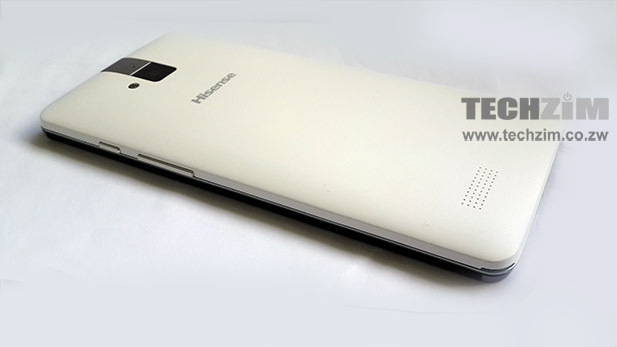 The Hisense Pure 1 has a design that is somewhat reminiscent of the HTC one except that it’s lacking the speakers. They incorporated brushed steel accents on the top and bottom for aesthetics. One of the most noticeable features on the Hisense Pure 1 is the bezels on the front that are rather generous. Given that this Hisense is in the phablet (5″-6.1″ screen size) niche of the market the bezels give the impression that the phone could have been made a bit smaller and somewhat more elegant. The actual screen space is somewhat less than what one would expect, reason being that the Hisense Pure 1 design team deviated from the design plan of earlier models where the touch buttons were capacitative and thus part of the bottom bezels. The result is that the screen space feels much less than what it should. The camera on the Hisense Pure 1 is quite good at taking pictures in bright light, but as light levels decrease the pictures do tend to be a bit grainy. HDR mode seemed to help a bit with the low light conditions and video recording in HDR mode was not that good. The camera allows the user to take pictures while recording video, but if the lighting is not that bright there is a tendency for the pictures taken to be grainy when the pictures are taken while shooting video. The display on the Hisense Pure 1 uses IPS technology thus has rather wide viewing angles and has a display resolution of 1280 x 720 with an approximate pixel density of 267 ppi. The screen on the Hisense Pure 1 is quite bright and has good visibility both indoors and outdoors. The light sensor seemed quite good with response to the changing light levels, never being too bright or too dark whatever the light conditions. As mentioned earlier the buttons can sometimes be an annoyance, and only recede when viewing video after some five seconds. Apart from the buttons the screen display is quite good. The video app has a decent feature pack, having all the standard controls for playback as opposed to how other players tend to offer the most basic of controls. 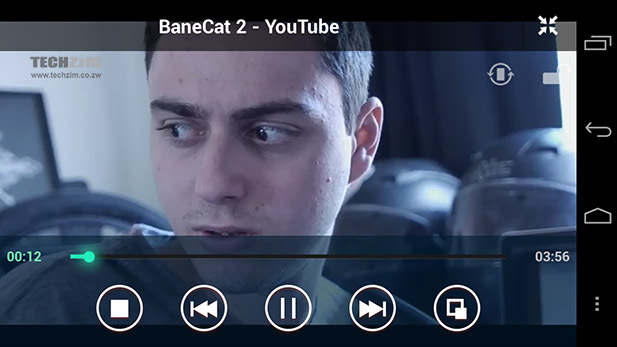 The picture quality was good with no stuttering whatsoever even on the higher resolution videos. The only issue was that the main speaker was not that loud in with the video audio, possibly because the speaker is on the rear. The screen was bright and video crisp, making the viewing images and video a pleasurable experience. The on-screen keys disappear after a few seconds, so at least while watching video one has more screen real estate. 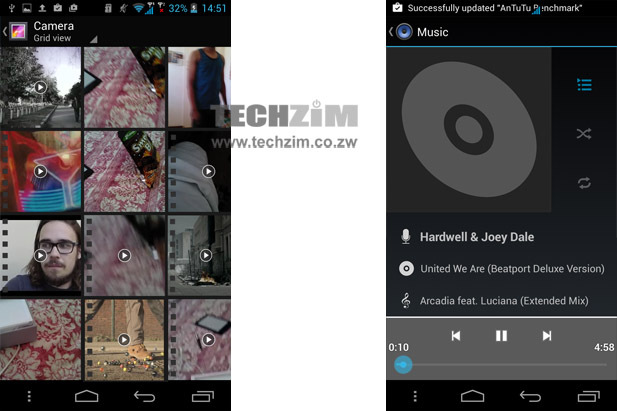 The Gallery and Music did not have as many features as the video app. If anything they could be said to be basic. Also until one extends the memory (4 GB user addressable) with a micro-SD card the amount that one can store is very limited, especially when apps are installed. 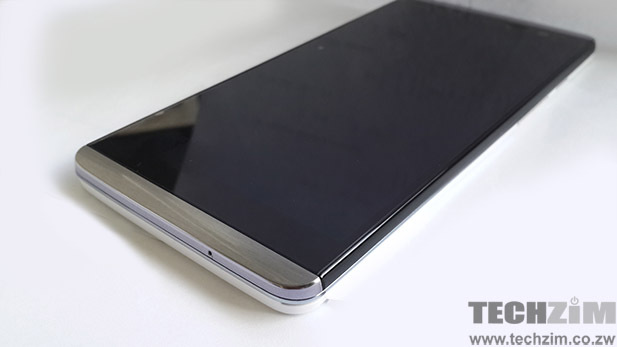 The user interface on the Hisense Pure 1 is almost stock android as minimum skinning. The result is a fast and fluid OS. What I do not understand is why Hisense has put out an older version of Jellybean when an updated one exists. The choice to keep away from Kitkat and Lollipop is understandable though as many people have found that they have restricted access to their micro-SD cards, thanks to the restrictions on the newer iterations of Android. Apart from some skinning the dialer looks pretty much standard. The call quality was good, with no echoes or noise on the ear piece. Like its lower tier peers, the Hisense Pure 1 also is a dual-SIM that allows for separation of duties on the SIM cards where one can be set for calls and the other as a data line. The battery on the Hisense Pure1 is 2500mAh and is surprisingly quite the performer. The only time when I found it draining fast was with WiFi browsing, but then again most devices lose battery fastest when on WiFi. Watching video will give about 10 hours battery, meaning the phone would be a handy companion for trips. The battery should last all day with regular use and still have a bit of time on the side even after hours. Overall the Hisense Pure 1 is a good budget phablet, however, its limited storage (4GB user addressable) and memory (1GB) mean it sits in the mid-tier range of phones. In other markets, it’s going for the equivalent of about US$260, which is quite a bargain for a phablet. The local situation with customs might change the price though. Dai mandiudza ndakupai a review. I hav been using this fone since December 18 2014. My previous fone was a Samsung S4. Here is my verdict. – Internal Storage (RAM) of about 1.7GB. Not too bad but if you use it heavily it tends to run out. Not a show stopper though. – Camera – OK during the day, but bad at night. Problem is I once used an HTC Desire HD and i got so used ot a proper camera. I will give is 6/10. – Dual Sim – nice function. very easy to manage. – Sound has low volume. I know there are apps that can increase it, but i am too lazy to find one. Overally i will give the phone 7/10. If they had a better camera, i would give them 9/10. 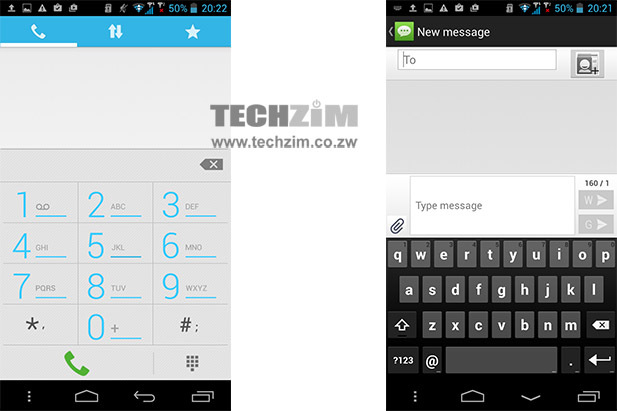 Where can i buy this phone in Zim?